People with energy, enthusiasm and the spirit to lead. People who reflect integrity, accountability and teaming. People who build relationships based on doing things the right way. R.VAGHASIA MANAGEMENT PVT. LTD. has been incorporated under companies Act 1956 on and from 6th October 2003. The word management here reflects that the company is engaged in providing various professional services to manage different aspects of the business. The managerial persons of the company are in this professional field since last twenty two years. In 1991, one of the directors of the company Mr. Ramesh Vaghasia, started his practice through a proprietorship concern named R.VAGHASIA ASSOCIATES giving services in the field of accounting, Income Tax, Sales Tax etc. With the passage of time, there arose a need to introduce & expand more services in different fields. The client base increased year by year. In the year 2000, a new partnership firm named R.VAGHASIA & CO. was formed in partnership with Mr. Mahesh U. Savaliya, who also joined the company as a director. After completing 12 successful years and acquiring sufficient experience, the partners of the firm thought to expand the profession and thus they incorporated R.VAGHASIA MANAGEMENT PVT. LTD. The company is engaged in providing consultancy and management services. The services involve business planning, accounting management, tax management etc. In short, it is providing services, which are the demand of today and help the clients to run the business smoothly and efficiently and making it more beneficial to them. 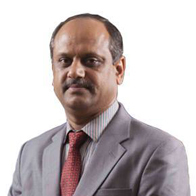 Mr. Ramesh Vaghasia is the Chairman and Managing director of the company. He is the heartbeat of the organization having multi faceted and dynamic personality and a person full of enthusiasm. He is a Tax Advocate by profession and has also completed his P.G. Diploma in Journalism. He had started his practice in 1991 and gradually with 25 years of experience he has achieved success in this field. Mr. Mahesh Savaliya is the director of the company and a Tax Advocate by profession. Since 2000, He is also an active partner of the firm R.VAGHASIA & CO.. He has experience of nearly 13 years in providing professional services. His hardworking nature has made him a leader in this profession. Mrs. Geeta Vaghasia is the director of the company and has completed her study in Bachelor of Arts with Economics. She is also an insurance agent since 1993 with L.I.C. of India and The New India Assurance Company Ltd., accredited enterprises of the Govt. of India. Also, Many times she has been Crorepati Insurance Agent and Club member in Varachha branch of LIC. Mr. Bhavesh Vaghasia is the director of the company and completed his study in Bachelor of Commerce. He is associated with the company since its incorporation. He is also an active managerial person of the organization, having young, energetic and self-motivated personality. His fast decision making skill and leadership quality has a great contribution towards unique image of the organization. We always believe in the belief to be dedicated to our services. Our values towards our profession are depicted from the slogan of R.VAGHASIA & CO. i.e. "Making aware and easier the path of taxes" and of R.VAGHASIA MANAGEMENT PVT. LTD. i.e. "We 'R' dedicated to our services" The importance of the logo is understood from the fact that we not only advise our clients about taxes but also make them aware about laws & rules by imparting them the knowledge of the same. We strictly follow professional ethics in developing and maintaining our profession. We feel that the time and interest of business of our clients are more valuable than anything else. Therefore, we place the interest of our valued clients in priority. We are the people with the inclination that money should never surpass or suppress relationships and thus resolving issues of our clients is on the top of our priority.